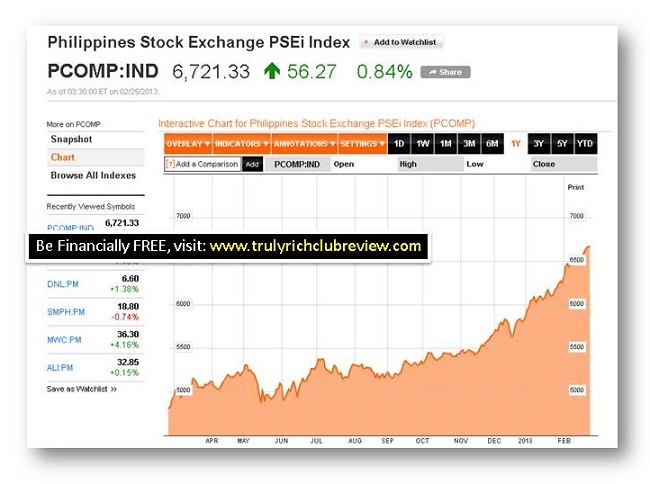 The Philippine Stock Exchange had reached the third spot last year in terms of domestic market capitalization. Filipinos, Congratulations! Be proud to be Pinoy. This ranking and milestone is indeed a great help for us, to our country, to be recognize by foreign investors not only in Asia, but worldwide. This is it. May this kind of news really boost the spirit of enterprise and right financial mindset of every Filipino people in the Philippines and around the globe. Allow me to share you this. Here's an article from philstar.com , This is a good indicator for the Philippine economy. We are now thriving for good. Keep thriving Philippines! "The Philippine Stock Exchange ranked third globally among top performing bourses last year in terms of domestic market capitalization, PSE reported on Tuesday. Citing a report from the World Federation of Exchanges, the local bourse said that it was only outpaced by the stock exchanges in Turkey and Thailand after posting a 38.9 percent expansion in 2012. WFE is composed of 50 bourses all over the world. “Ranking among the top markets around the world is a feat which I think all Filipinos can be proud of as we are pitted against the best of the best markets in these global rankings. This is a testament to what we have been saying that the Philippines is now indeed in the global radar for investments and these numbers prove our worth as a viable investment destination,” PSE President and Chief Executive Officer Hans Sicat said. The report likewise noted that the PSE ranked third after the Saudi Stock Exchange and the Bermuda Stock Exchange after posting a 25.3-percent growth in the value trading turnover. It also placed fourth in terms of trades growth and fifth in terms of broad market index growth. In 2011, PSE also ranked first in the growth of its broad market index, third in domestic market capitalization and fourth in trading turnover among 51 stock exchanges. 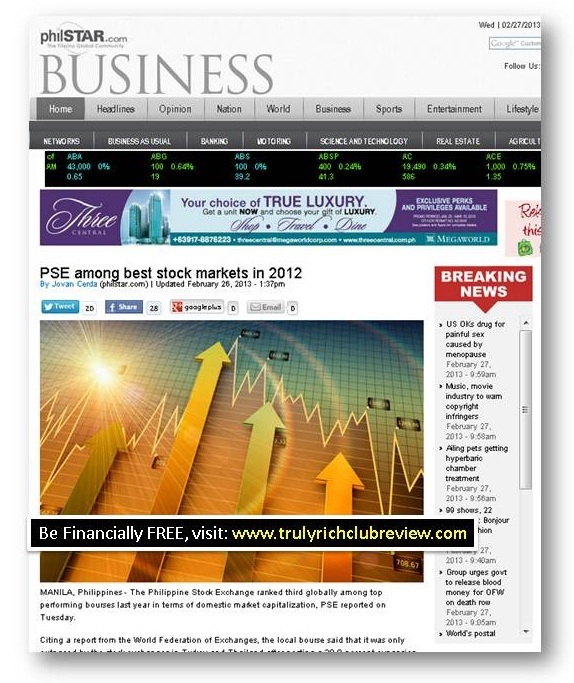 PSE added that among the top performing stock markets in 2011, it was the only one which figured in the best performing markets list by posting growth across all growth metrics. “For two consecutive years, our stock market has been recognized among the fastest growing markets. This just shows that our growth has been sustainable particularly as it founded on the increased economic activity in the country. We are excited about the outlook in 2013 as we also undertake new programs and introduce new products in our stock market to keep the growth momentum in the coming years,” Sicat added."